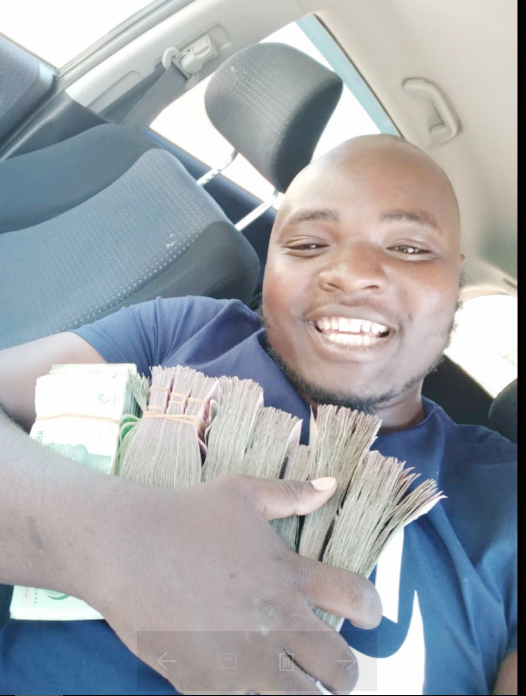 A Bulawayo prophet, Madzibaba Emmanuel Mutumwa, has been condemned for flashing US dollars. Critics say his actions are ungodly. 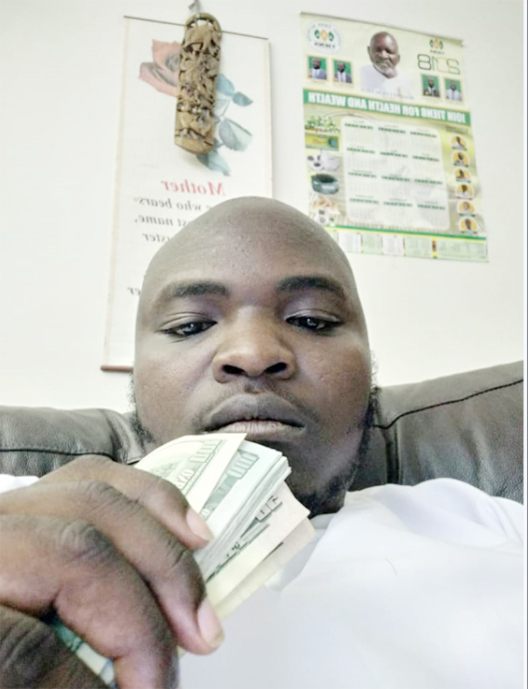 In some videos which have gone viral Madzibaba Manu as popularly known is seen boasting about having cash and driving expensive cars. In the other clip, he is seen with a colleague flashing US dollar notes. “Kutamburirei, maUSA aya, cash mdhara, mazimari apa ndiri kutadza kudriver nemazimari, apa kudriver mota isina maplates. Critics described him as a gold digger who is busy milking his unsuspecting congregants. “What this prophet is doing is ungodly; where does he get the money to boast about like that? “How can someone who claims to be a man of God record videos saying he was told to enjoy money? “Where is he getting the money from and what if it’s his congregants’ money? “Men of God should be humble and not go about boasting about having money. “The man is also flashing some money of which we don’t expect to see leaders of church doing. Further allegations are that Madzibaba Manu, also stage manages his miracles at his shrine. However, Madzibaba Mutumwa, said he is being fought by fellow prophets who want to pull him down. “There is nothing to write about and I know ndiri mustraight and whoever doubts me should come to church and see for themselves. “I know there are people fighting me, but why would people from Harare fight someone from Bulawayo? “But what are they fighting me for? Ndakabata mari handiti ndeyangu here and hadzisi nyaya dzingabude mupaper idzi.